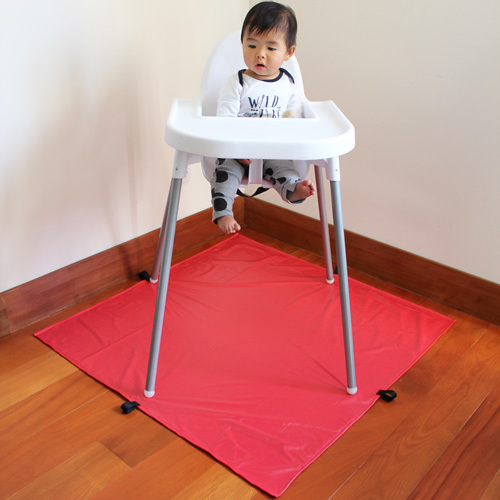 Does your baby love making a mess? 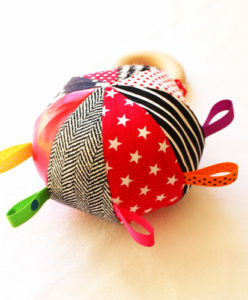 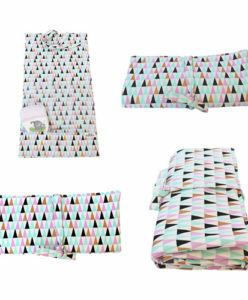 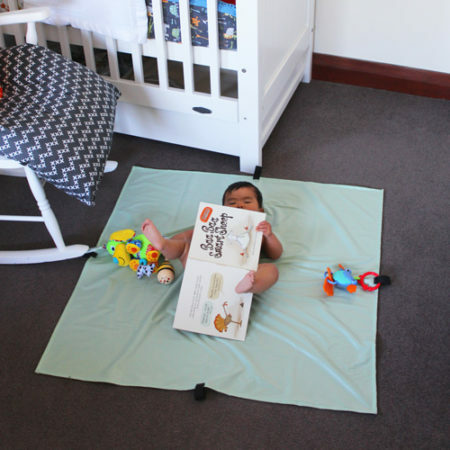 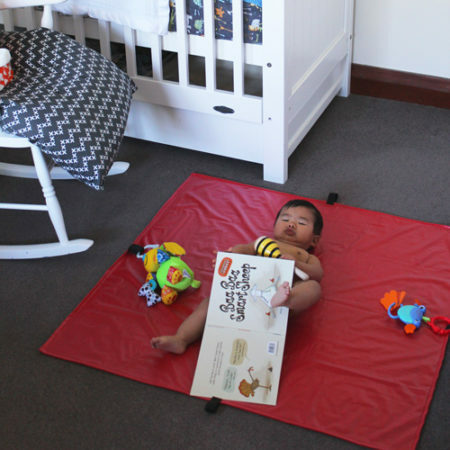 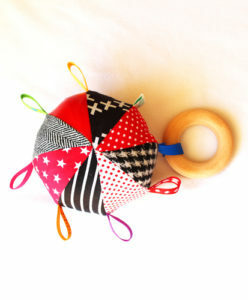 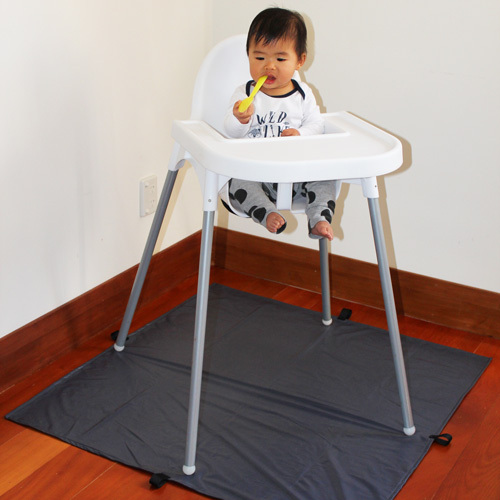 Introducing our messy mats which are perfect for nappy free play time and feeding time. 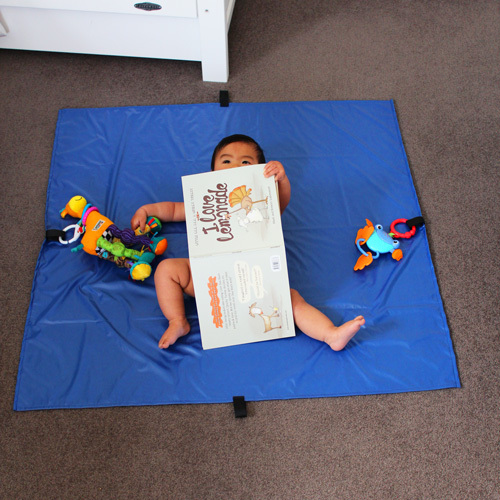 Our messy mats are perfect for nappy free play time and include four tags on the edge to allow you to attach your baby’s favourite toys. 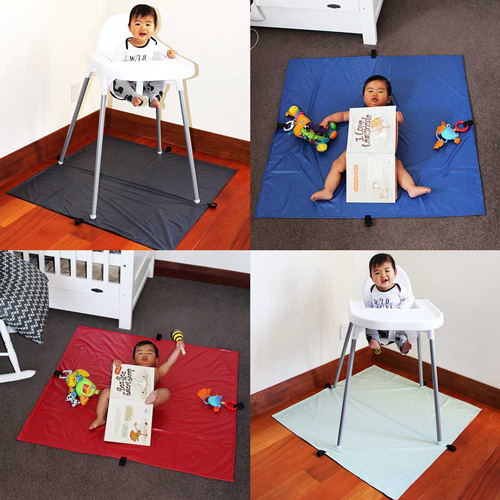 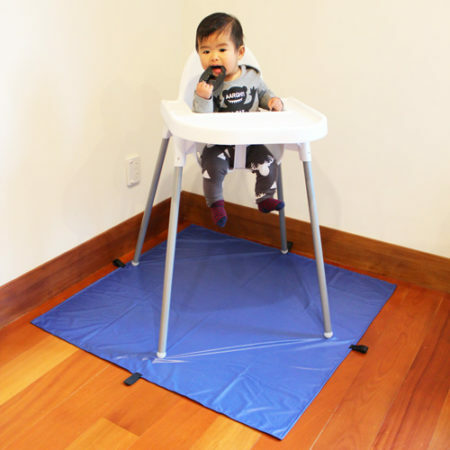 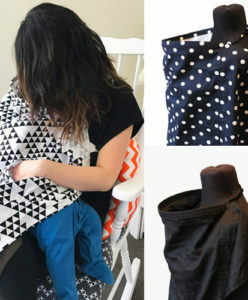 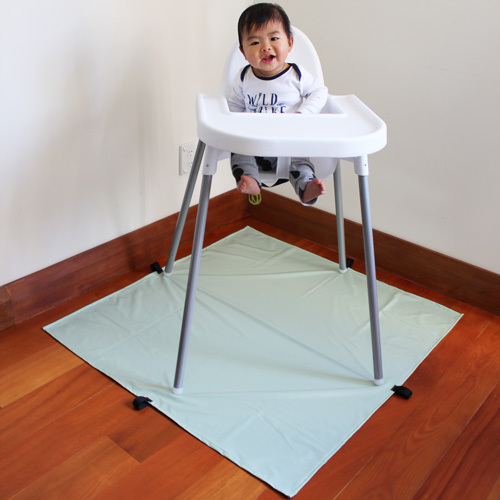 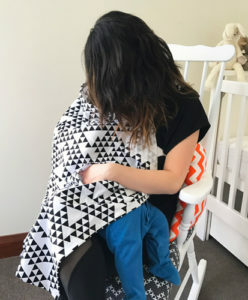 Our messy mats also double as great cover mats, which can be placed under your baby's highchair to save your floors from all the food your baby decides to drop! Our mats are also easily transported – PUL is super light and you can fold the mat together at the tag points and use any clip to hold it together. You can also use this same method to hang the messy mat up around your house, saving on space and keeping the mat off the ground. 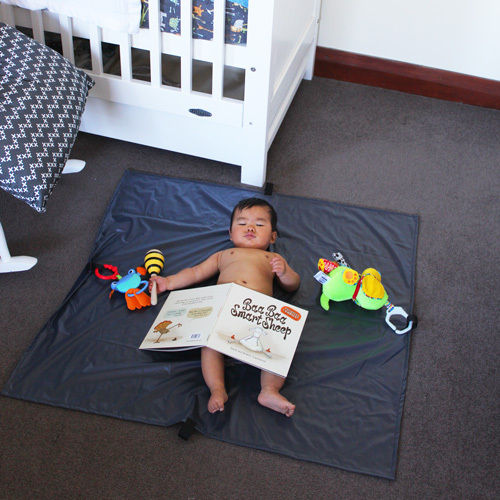 Please contact us if you would like a personalised colour messy mat.